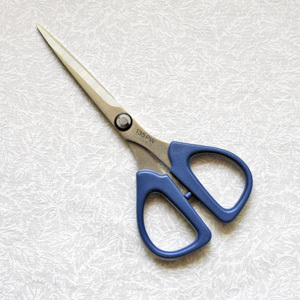 I have a pair of those scissors and they are the best for cutting out little fabric pieces. I do not know what is more important than my many wee scissors (~.~) I delight in finding a cute scissors to fit in my bag to tote along. I believe I have them in every sewing, crochet, needlepoint, bag & case I own. I never tire of looking & finding the better one. My dear dad was always sharpening the big ones. The rule is NO ONE touches the sewing scissors!!! I’ve recently discovered your books, this website and patterns. I’m so happy so beautiful creation. I am writing to ask you the following: Search patterns can be sold via download. I live in Santiago, Chile and pay a lot for shipping.